Artist Michel de Broin is taking the fight against the fine given to his self-propelled car for being unsafe to the Toronto courts. As far as he is concerned there's nothing unlawful about it, it being the an exhibition peace for a local gallery. ... as the oil price climbs, perhaps this is the future? Google is planning an imminent launch of an online storage offering , reportedly to be called GDrive. While it is already possible, albeit difficult to use a Gmail account to store files using utilities like gDisk, this is going to make it easy to upload, use and download your files. Google does face two major hurdles though. There is currently a myriad of players in this market including xDrive, Omnidrive, allmydata, mozy, myotherdrive etc, and Google breaking into this market is going to face the same problem as these companies do, trying to convince potential users that there files are secure. Having said that there is a fair bit to be said about the potential synergies that Google will be able to leverage. 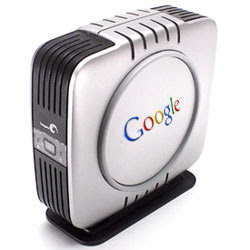 Users of the various online Google applications will be able to be utilise the online storage for the files and, of course, access them anywhere they might find themselves with internet access. As always South Africans will need bigger pipes and more substantial bandwidth before this becomes something that will be able to be used regularly. I have just entered a rather fun competition. Imagine driving around town and seeing cars with a silver name badge reading something you came up with? Renault are running a competition allowing you to do just that. Name the new Renault Scenic 4x2 and you will have the use of the vehicle for a month along with R1000-00 to go towards the petrol costs. Click here to enter ... and if you happen to win, please let me know. You have 1 minute to type as many words as you can. Give it a go, it's a great way to up the typing skills we all need to desperately. For those of you with a little more time there are even soome online tutorials. Want to swim this summer? Eish!! does try to focus in good SA stories, but it seems this week you will have to mosey on down to SARocks for that, because it's time for another rant. Two in one week. Newlands swimming pool was once, many years ago, one of the country's premier facilities. It has slowly, for a variety of reasons, many totally understandable fallen out of favour. the upshot being tt now closes in April and only reopens at the beginning of summer. Not one for relying on rumours, I gave them a call. Actually no, does the council work? What they have done is paint the outside walls ... orange and green ... why? For months I have listened podcasts based in the US talking about the demise of the music industry. 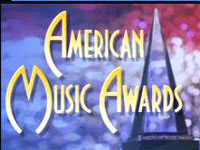 Last night, as I tried to watch the American Music Awards, I understood. As I tried to listen to the 'songs' being performed it became evident that not only was the production bad, the vocals shocking but, not since the sixties, has there been such a plethora of bad, corny lyrics. Only four and a half decades ago the pop music genre itself was pushing boundaries. I only managed to watch about an hour and a half of the show, most of it shaking my head in amazement, but in that time for me the best performance was ironically a duet by Rihanna and Neyo (I think that's his name). I say ironically, because Eishman finds her voice extremely irritating and always reaches for the dial when one of her songs are played on the radio. Her voice is almost as irritating as Celine Dion live, unable to hide behind the recording process, man she sounds bad! To top it off, for me, Beyonce was given some international artist award (See how interested I was?) that has only been given to 5 previous artists ... to the best of my recollection they included Led Zeppelin, The Bee Gees, Michael Jackson & Aerosmith ... surely Beyonce isn't in this league? The sad thing is, there are so many independent artists writing and performing, thought provoking, inspiring, melodic and entertaining songs across the genres that struggle to get recognition while this bunch rake in the millions and praise themselves. There are artists all of Africa creating innovative pieces of music, hey Anna? Even here at home there are artists across genres doing great things. I have been listening to music from the Podsafe Music Network for some time now, and have enjoyed discovering musicians from all over the world doing things for themselves, eeking out a living for the sake of their art. Something that used to be regarded as a right of passage for a successful musician. To top it all off, the non-descript presenter, clearly wasn't joking when he mentioned that he was also a writer ... on strike. 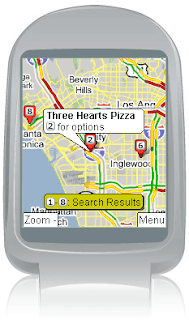 4 ways to find your way ... on your mobile ... for free! There's no need to get lost, ever. As long as you have your cellphone on you, you will always be able to find your way home ... even if you want to keep your pride intact and not call for help. I have found 4 applications you can download to your phone, to use for directions. While most of them can be used in conjunction with GPS systems, most of us do not have this functionality on our phones, so I have decided to check how they work sans GPS in South Africa. I stay in a relatively new area, pretty far south down the Cape Peninsula, in a road that is often not found in maps so as an extra test I have checked to see which ones help me find home. 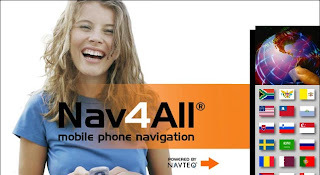 I am no expert when it comes to navigation software or cellphone applications so feel free to read through my quick summaries, then pop over to the vendor's website and make up your own mind which one works for you. Google Maps : An obvious place to start. Menu's nice and easy to follow, just a pity that finding local (South African) addresses was tough, I kept on landing in cities around the globe when searching for local streets. Manual navigation took me pretty close to home, pretty quickly, but left me high and dry 1 kilometer short. 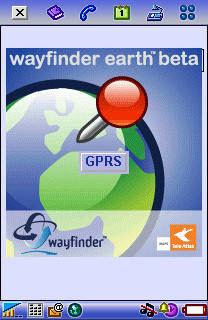 Wayfinder Earth Beta : This application has a nice easy on the eye user interface, with a couple of cool features like local weather at a touch of a button. It was perhaps a little difficult to figure out address searches for my liking though. It had my little cul-de-sac in it's database though. AmAze : Firstly the clever name means it sits at the top of my applications menu. The maps are not just easy to read but are actually pretty. My home was easy to find as were directions from home to all over the city, whats more with a click you can get to see an aerial photo/street map hybrid of your route and/or destination (with a little weather/wind indicator flashing in the top right) . Truly awesome. Just as a point of reference, my tests were done on a Sony Ericsson K800i, using the free versions of the software. Today the DA (Democratic Alliance) launched the Cabinet Report Card website for 2007. The idea is to give the 'public' a chance to rate the performance of the various members of the cabinet. Agree with the policies or practices of the DA or not, there's no request to identify yourself, so there's not need to nail your colours to the mast. How often do you see a video on a site and you really wish you could download it and keep it in a safe place. Us bandwidth starved South African have the additional problem in that every time we show someone that cool, interesting short we eat into a meager monthly cap. So wouldn't it be preferable to rather download the video once? This is probably the most complicated. Locate the exact url of the video. This is not necessarily the website or blog website you find the video so you may need to click on the video or navigate to the host site. Copy the link and paste it into the textbox at the top of the site. You will be given a link to click on and download. Webcams seem to have fallen out of favour as the Internet has evolved. But I still think there is a place for them. They are small, speckled, jerky windows into places far away. I love to pop into webcams stationed in areas where people I know live, particularly if I have never been to said place. Oddly though my favourite webcam is stationed just 3kms from my home. It saves me from opening the curtain to see what the weather is like. The BayWatch.tv webcam is stationed at the Bayside Restaurant in Fish Hoek. Then there is one I only discovered today. It got me rechecking all my old favourites and will become one I will check regularly. Hosted by www.kapstadt.de it is situated in Milnerton and faces Table Mountain. It is a reminder of the beauty of city in which I am privileged to live. Two rugby fans, Keith Lindsay and Simon Mantell has started a website www.jakemuststay.co.za affording rugby fans a platform to show their support for the incumbent Bok coach, or against the the current group of rugby administrators. While I still think taking to the streets is going to be a whole lot more powerful than a few thousand internet votes, this is a start, so join me and click here and vote for Jake ... then tell your friends. Keo.co.za writes that Jake White's agent Craig Livingstone has confirmed that he will not be applying for the Wallabies coaching job and is 'also unlikely to pursue a career with Wales.' He apparently intends to take a six month break until deciding on a where-to-from-here. So, fellow Springbok fans, there is still a chance that we have not lost uncle Jake quite yet. Eishman has always felt that the best place for him is in a more overseeing/mentor director of coaching position. It's obvious to me that while the current administrators are in office this will not happen, so perhaps it's time to mobilise. SA Rubgy is supposed to represent the multitudes that took to the streets last week in support of the bokke, clearly they do not. So why not see those multitudes back on the streets? This time in protest? Let's get these morons out of their cushy offices, and get in people that have our mandate and do what it best for the national interest?